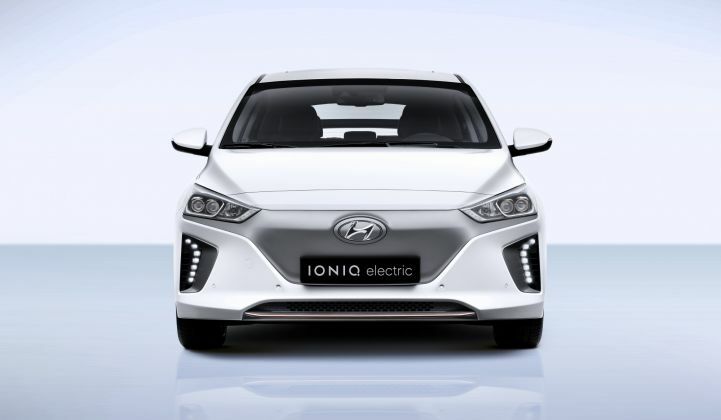 Batteries from the Ioniq Electric could end up on the grid, if Hyundai avoids the pitfalls that hobbled some of its peers. Korean carmaker Hyundai will branch into the energy storage space to eke more value out of used EV batteries. The company announced Tuesday that it will develop second-life battery products with Greensmith, the storage integrator and software specialist nestled within international engine company Wartsila. Together, they hope to build “a continuous, global supply chain” spanning battery manufacturing, EV sales, stationary storage deployment and end-of-life recycling. The companies are designing a storage system at the scale of 1 megawatt-hour, composed of second-life batteries from the Hyundai Ioniq Electric and Kia Soul Electric cars. They are testing a demo version at the Hyundai Steel factory. The move puts Hyundai in the ranks of almost every other carmaker with an EV business. Entering the storage market allows carmakers to generate a new revenue stream with the investment they have already put into developing their car batteries. “By repurposing resource-intensive products like EV batteries, we eliminate disposal costs and extend the value of the R&D investment that goes into manufacturing the technology,” said Youngcho Chi, executive vice president of strategy and technology division and chief innovation officer of Hyundai Motor Group, in a statement. But what reads like a natural synergy in a slide deck has proven harder to deliver in reality. The automotive industry already has a checkered history in fulfilling the jump from EV manufacturing to the storage business. Tesla most famously launched the Powerwall and Powerpack battery products to capitalize on its automotive battery manufacturing capacity. The energy business offers an outlet for excess batteries while the EV market heats up. So far, though, battery production has proven to be a chokepoint in the company’s effort to ramp Model 3 production. When supply is tight for the higher-priority car business, storage installers have to wait for months to get their hands on product. In another sign of stress, Tesla upped the sticker price on the Powerwall earlier this year, after competing for over a year on how low its price was. Mercedes-Benz tried to follow Tesla’s lead by translating its ample brand recognition into home storage sales. That company abandoned its U.S. energy storage subsidiary this spring, after delays in producing a workable product. The corporate leadership in Germany decided to drop the year-and-a-half-old venture, just as the residential market started to heat up. The company maintains that it will pursue second-life storage. BMW has used second-life batteries for a few different installations, including as part of a grid services pilot with PG&E. It launched a residential second-life battery concept in 2016, but recent mentions of that product are essentially nonexistent. Nissan launched a splashy marketing push this spring for a particularly bizarre go-to-market second-life battery product: off-grid streetlamps for uninhabited locales with no customers. "Thanks to high-performance battery, we can light up places like a deserted island, woods, mountaintop or the middle of the ocean," the company asserted in its Reborn Light campaign. The materials did not elaborate on what sales channels it would pursue for that hard-to-reach "middle of the ocean" segment. That's just a sample of the second-life battery efforts thus far. Understanding success and failure in this realm requires pinpointing what car companies do and don’t do well. They specialize in manufacturing high-tech equipment efficiently and at scale. They don’t specialize in navigating sales channels in the utility or retail energy industries. Any company can build that expertise if it chooses to, but that takes time and money. Rather than standing up an energy sales and development arm in-house, Hyundai has opted to ally itself with a storage industry veteran, possibly avoiding one of the most glaring pitfalls of its peers. Greensmith has delivered more than 70 large-scale systems in nine countries. It has done so under intense time pressure, as in the rapid-fire Aliso Canyon storage procurements. Since the acquisition by Wartsila, it has benefited from the balance sheet and support of a massive multinational corporation. Nobody has proven that second-life batteries can be a real money-maker, though many have tried. Part of the challenge is that there aren’t many retired EV batteries just yet. That supply will increase as the years go by and as the storage market itself expands. Hyundai’s use of a sector specialist may just give it a leg up when the market gets big enough to be interesting.